I’ve been meaning to write a series about some blogs that I truly adore, so seeing as I have a hot steaming brew in front of me and a cat to keep me company as I write, there’s no time like the present! Every week I’ll be featuring a favourite blog that I visit. I follow and subscribe to legions of great blogs, but I will be singling out some particular favourites to share with you. Why? 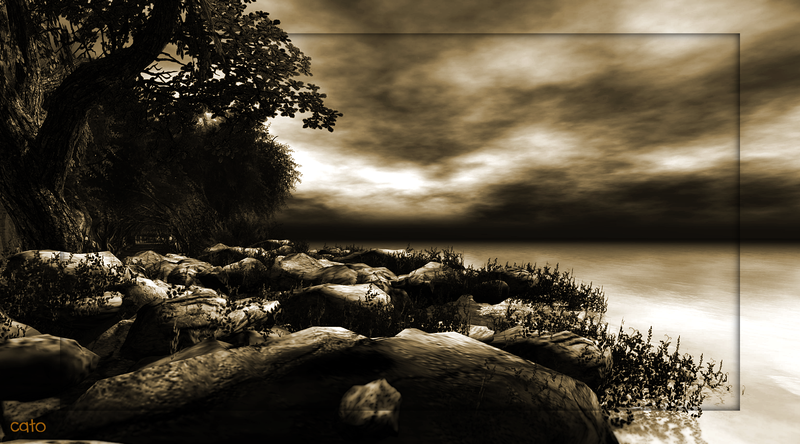 Because I’ve found them to be incredible sources of SL-inspiration, whether it be for avatar-styling, location hunting or just because the writer raises some interesting points about our virtual metaverse. It’s my sincere opinion that If you’re passionate about your Second Life then these blogs have to be on your reading list. They’re not in any particular order, I love each one just as much as the next. And I’m starting this series off with a corker, ‘Cait’s World’. Caitlin Tobias’s blog is my go-to for location inspiration. I love the photographs that she takes and features on her pages. Her composition is always spot-on, and her artworks are always beautifully framed. I love the whole feel of her blog and I adore how easy her blog is to navigate. It completely draws you in. Cait’s imagery really sells the locations that she visits and makes you want to go in-world and experience them for yourself. I have been out and about in real life and received the latest update to her blog in my inbox, and found that I was desperately wanting to rush home so that I could visit it for myself! Cait also keeps a Tumblr that is perfect for quick visits for personal blogging motivation, and of course she also has a Flickr feed that is perfect Sunday afternoon viewing on your ipad, snuggled under a blanket with a steaming brew. Incidentally Cait makes no bones about the fact that she uses Photoshop to enhance her images, but she explains her reasoning very eloquently on her ‘About This Blog’ page. 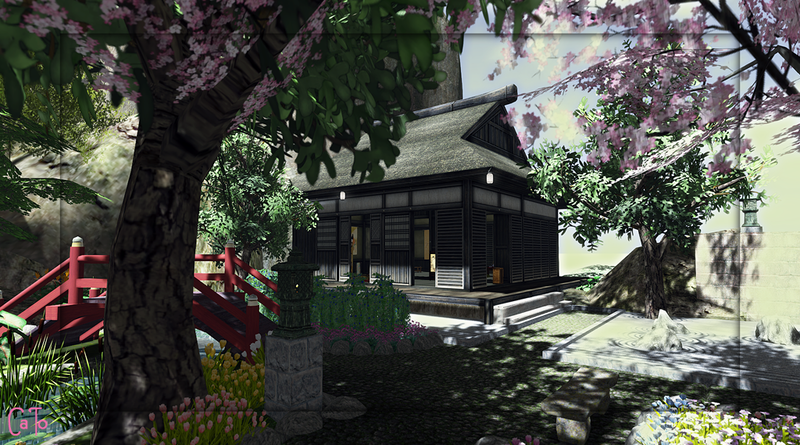 The Moonlight Tea House A rather lovely study of a Japanese styled garden. I adore THIS shot in particular. 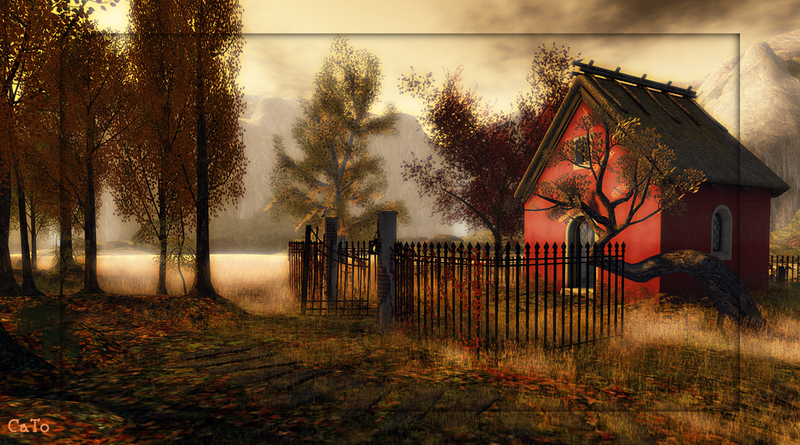 The Trace Cait perfectly captures the Autumnal vibe opf Kylie Jaxxon’s ‘The Trace’ sim. I visited, it’s just as beautiful as THIS picture suggests. Deadpool No, not the Marvel universe character (although I think he’d approve! )but the ruins of a carnival, perfect for atmospheric moody shots, like THIS one, which is excellent. Fogo Loch Perseus Insomnia proved to be a blessing in disguise and actually enabled Cait to create some truly astonishing works of virtual art. THIS one is a real favourite of mine. Hey Little Girl I really love the way that Cait captures reflection in the water in THIS provocative image. Stunning work. 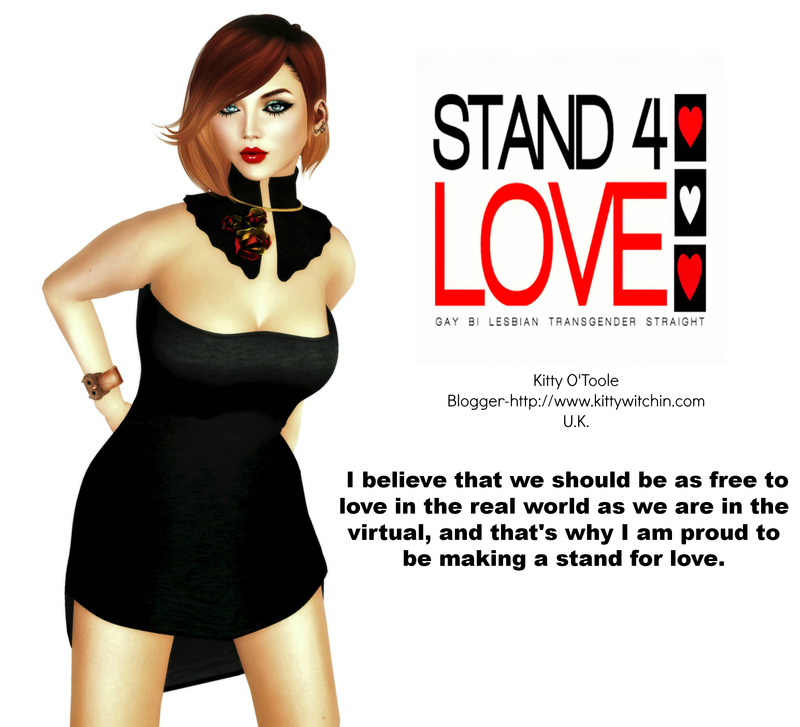 Thank you for your contribution to blogging the Second Life universe Cait. You’re a real inspiration to me, and I am sure to many other avatars out there; long may it continue! Caitlin’s blog is my #1 location inspiration blog. Her pictures capture the mood of the environments so perfectly.